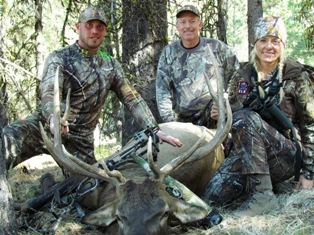 There is nothing that I love more than hunting Elk in Oregon with my family. 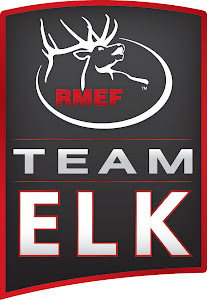 James, my dad and I all teamed up this year for an action packed public land, DIY archery elk hunt. We work as a team when hunting together with one person designated as caller and two are set up as shooters allowing more potential shot opportunities. We go through a rotation so that we are all given equal opportunity on bulls. My dad was up as caller and in comes a beautiful 5x6 to James offering a perfect 35 yard broadside shot. We were all thrilled with taking this beautiful bull home for our team. Please see photo attached. Two days later, we located another couple of bugling bulls right at dark in a location that I had been scouting for over 2 years. We went back the next morning with my dad once again as caller and this time me as shooter. I texted my dad who was above me roughly 80 yards pretty detailed instructions on how I wanted him to call as both bulls clearly had cows. Around 10am the bulls quieted and bedded down, so I decided to sneak down into the bedroom of this herd of elk. I settled in what I guessed to be roughly 60 yards from the bedded elk and waited for them to begin to mill around. 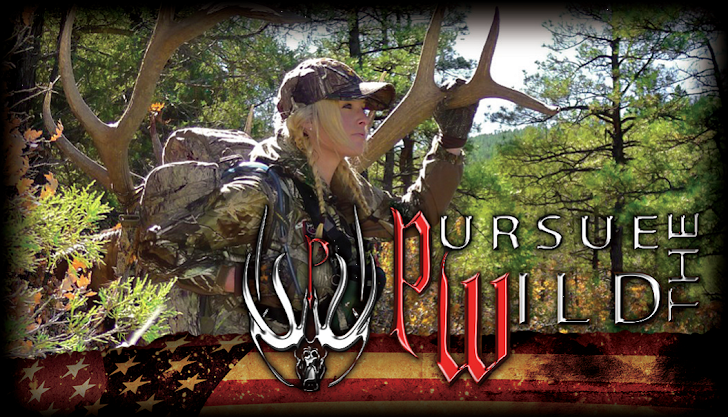 Once I heard the elk get to their feet, I crept over to the bull and was in a perfect position for a 30 yard shot. I self filmed taking a shot on the beautiful 6x7 at 30 yards. I put a solid hit on the bull and watched him jog by me at 25 yards with my arrow buried deep in his side. My arrow did not pass through the bull and left no blood trail to follow beyond 50 yards except the three spots we found where he had paused to cough up blood. We could not find my bull that day, or the next. We never stopped looking for my bull knowing he was out there somewhere. Another hunter ended up finding my bull and literally watched my dad and I walk by him while he packed my bull off the mountain. We were less than 100 yards from my bull and didn’t know it. I continued my search for my bull even after the season was over and one random night I received a phone call from an acquaintance who knew the hunter that took my bull home. 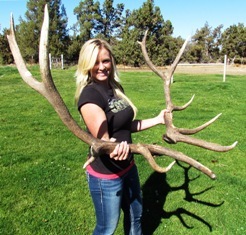 Apparently, after the hunter that took my bull home heard my story from this mutual acquaintance and how devastated I was and how I was STILL looking for the bull, he made the decision to return the antlers to me. I have attached a photo, they have been cut to look like sheds by the other hunter in some strange attempt to make removing them look more legal which it clearly was not. In the end, my shot had taken out a single lung and the liver of my bull allowing him to travel less than ½ mile from where I shot him with no way for me to find him before the bears and the other hunter. The pain from losing my bull this year still stings.